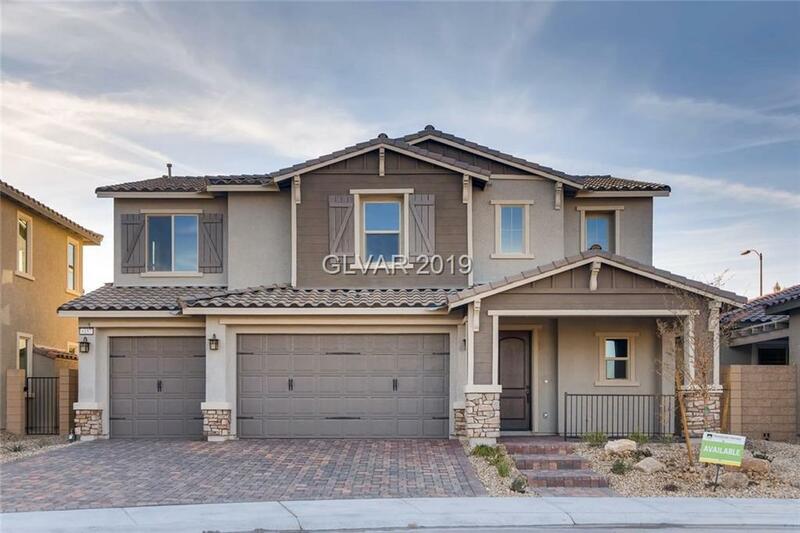 Brand New Home in Teton Cliffs in Skye Canyon. Exquisite finishes throughout home. Expansive 15 ft. double stacking slider to covered patio to enjoy great indoor and outdoor space. Gourmet kitchen with white cabinetry built in double oven and cooktop with profile stainless steel appliances. Ceramic plank flooring. Balcony off Bonus room to enjoy sunrise and sunset. Come and see this beautiful home!